Everyone has a story… Calynda Triffo had anxiety disorder as part of hers. A series of traumatic events created more stress than she was able to process, and panic got better of her in 2009. While relentlessly searching for answers, the most common thing she was told was “you will have to take medication for the rest of your life”. Feeling numb was supposed to be as good as it was going to get. At 36, that wasn’t good enough. Calynda searched for answers in the craziest of places and managed to escape the grips of anxiety in 2012 and hasn’t had a panic attack since. Today, she is healthy, happy and grateful for the journey! Why? Without it, Calynda says that she wouldn’t have paid enough attention to do what she was designed to do to help others today in her practice. Calynda came to realize that grief can cause physical pain and there is a process involved with getting though it. 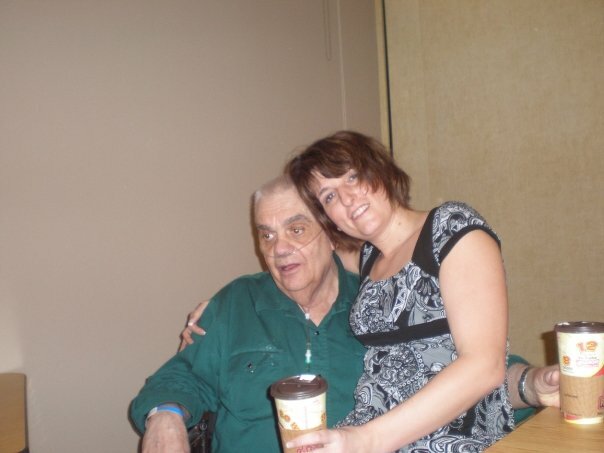 It took her almost two years, wondering most days if she would make it to the next day, with countless appointments totaling almost 6 figures to find a way to restore her health. Some people spend that much on an education; Calynda spent it getting her “PhD in Survival”. Settling for surviving was never an option, she wanted to thrive. That experience led her to beat anxiety naturally, become a reflexology therapist, reflexology teacher, develop emotional reflexology, become an author and launch her “Pivot From BS” mentoring program. Calynda has worked with hundreds of clients to help them reduce stress and has shared her passion for the modality with over a hundred students. 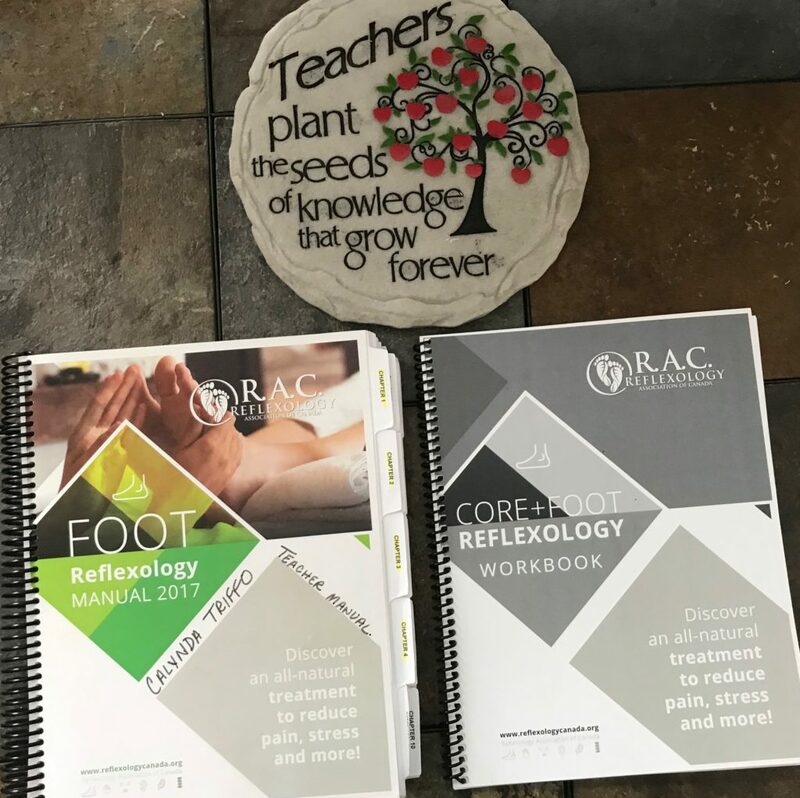 Teaching how reflexology encourages the body to restore its natural balance and hearing the testimonials are one of the greatest rewards to make her journey worth it. Calynda Triffo was the recipient of the Outstanding Teacher of the Year Award with the Reflexology Association of Canada Outstanding Teacher for 2016, 2017 & 2018. 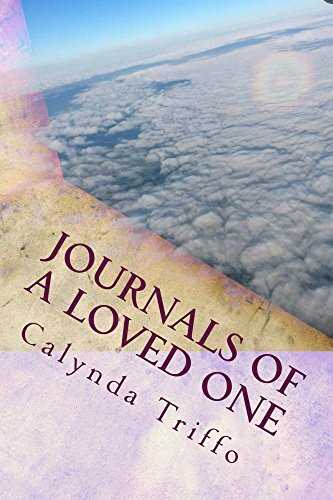 Cancer has left it’s footprint on her heart and she published her first book “Journals of a Loved One” to talk about that journey. It was written for people that are facing that hard life challenge to give them the opportunity to get a glimpse at what questions are important, what worked, what helped, what didn’t and the emotional rollercoaster that goes with the territory, so they know that they aren’t alone! Calynda has had the opportunity to learn from Jack Canfield (Co-founder of Chicken Soup For The Soul). 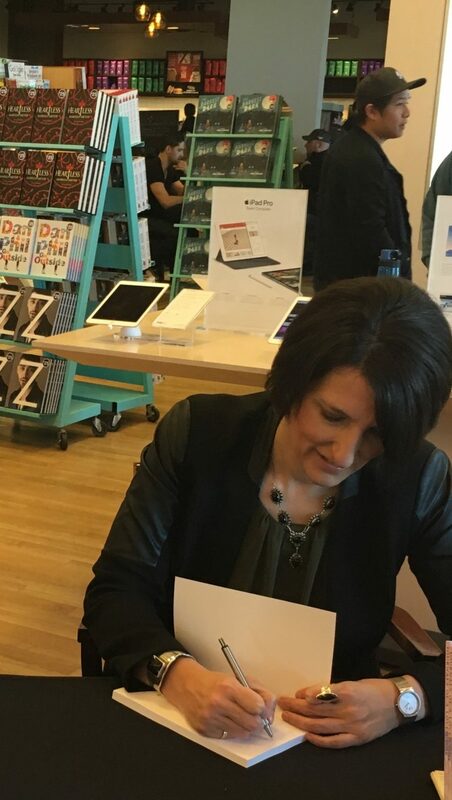 He even sent a shout out to on twitter to his 539,000 followers about her book on March 16th! In 2017, Calynda became the talkshow host of the Heart Mending Mentor, the episodes are available on iHeart Radio and Tune In Radio. When I watch people’s emotional loads lighten before my eyes, I understand that my pain had a purpose. For that reason alone, my struggle was worth it. Those lessons were worth fighting for! My path forced me to overcome challenges and introduced me to people that I wouldn’t have ever dreamed meeting in a million years. More importantly, that painful and terribly messy adventure made me who I am. It led me to my purpose and passion… it doesn’t get better than that! My biggest challenge after figuring out everything I needed to regain my health was trying to explain what I do. That problem kept me quiet and in hiding for years, but a promise I had made to my late uncle on his death bed to help people has forced me to get out of my own road. If you are reading this, I’m telling you your life is amazing…. just get out of your own way! I made a commitment to dedicate the rest of my professional life to helping others overcome their emotional challenges, so they get back to the life they really want to live! That is the best decision you will ever make. Working with motivated and driven people that are experiencing their bodies trying to get their attention, but they feel weighed down by responsibility, feelings of overwhelm, anxiety, depression, shame, terror, unworthiness among other negative emotions and limited belief systems… that’s the reason I wake up in the morning. There is nothing better than watching all that drift away. Supporting people while they do what they never thought was possible… that never gets old. Visit the “Reflexology” tab to to learn more about the upcoming reflexology courses! Started learning how the body works naturally after losing her uncle to lung cancer and battling her own health issues in 2009. Published her first book in 2016 after losing her father to lung cancer.